We are a leading Manufacturer of automatic eto sterilizer and medical and hospital autoclaves and sterilizers from Ahmedabad, India. In the medical industry, various kinds of sterilizers are used for the sterilization process in the medical tools and equipment. These devices come with the capacities of low temperature, high temperature, table top and other models to provide the features for sterilization of medical equipment. 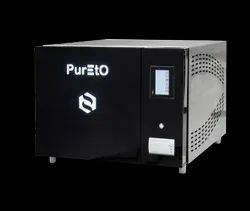 The Automatic ETO Sterilizer is a very useful device to prevent any kinds of infections on health risks in the medical industry. These devices are made to create the high temperature for the sterilization of various equipment. 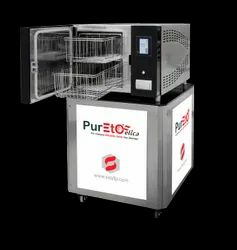 The temperature and pressure can be controlled automatically in these enclave sterilizers in the hospitals and the medical industry. In hospitals and clinics, the sterilization of medical tools, equipment and waste material is very important to prevent the infections and health risks due to the presence of bacteria and viruses. For the sterilization process, Medical and Hospital Autoclaves and Sterilizers are used at a large scale in the medical industry. All these devices are very helpful to prevent the bacteria and viruses in the medical tools and equipment. In these devices, the process of steaming is used to create the high temperature and extreme pressure for the sterilization of all kinds of medical equipment and tools in the medical industry.